QSL letter from the Nigerian Broadcasting Service in Lagos on 16 September 1955 on 4.800 MHz. Power was 20 kw. 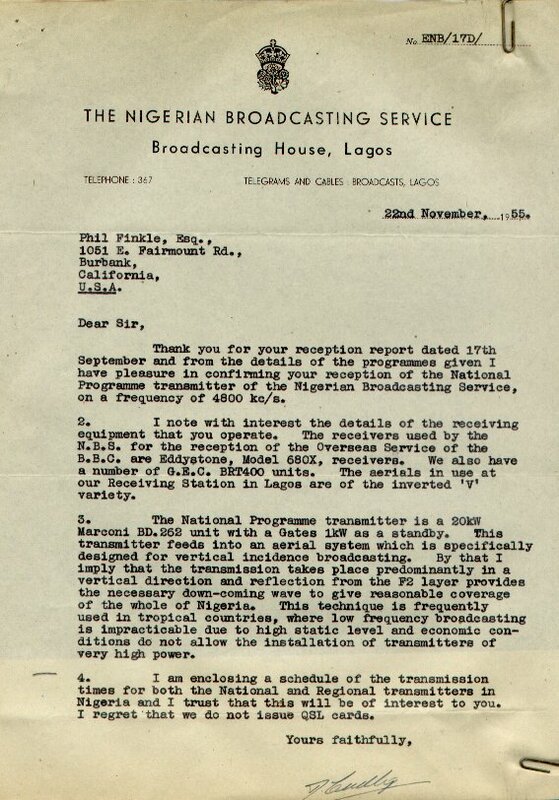 This very informative verification letter is from the Nigerian Broadcasting Service in Lagos whilst Nigeria was still a British colony.. This station was well received on the West Coast in the early and late evening hours.